From one of the true creative geniuses of this generation comes a unique meditation on and celebration of the magic of the birth of a simple idea. Sparkling with visual wit and bubbling with imagination, this is a richly emotional exploration of the creative process: from an initial tentative inkling, to the frustration of chasing the wrong notion, to finally the exhilaration of capturing—and nurturing—just the right idea. I Have an Idea! 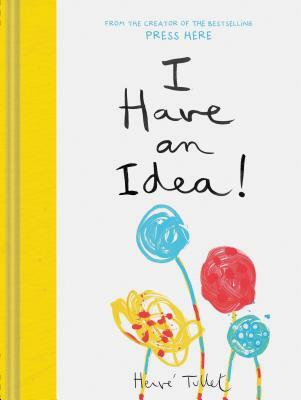 is a scrumptious cloth-spined package of color and inspiration equally at home on a child's bookshelf, in a new graduate's backpack, or atop a creative's desk. Hervé Tullet is known for his prodigious versatility, from directing ad campaigns to designing fabric for Hermès. But his real love is working with children, for whom he has published dozens of books, including the New York Times bestsellers Mix It Up!, Let's Play!, Say Zoop!, and Press Here. He lives in New York City.